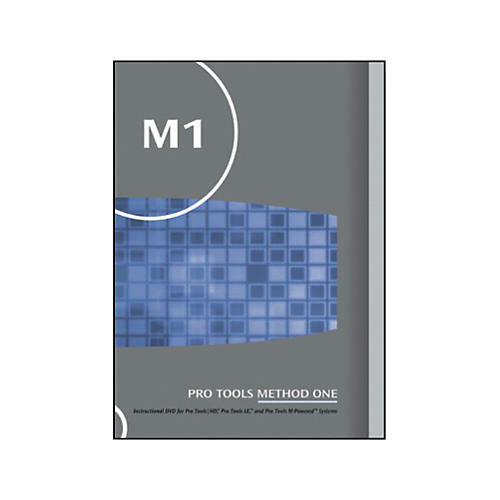 The Method One training DVD is designed to help you with your Digidesign Pro Tools|HD, Pro Tools LE, or Pro Tools M-Powered system by familiarizing you with the vast capabilities of the industry's most popular digital audio workstation. Certified Pro Tools expert instructor and composer Eddie Heidenreich explains core concepts, techniques and tips on everything from setting up sessions and recording audio to editing MIDI, how to work with loops and plug-ins, and automating mixes. 90 day warranty on M-Box. One year parts and labor warranty on all other products.